California voters will soon decide whether to ban the sale of meat and eggs from farm animals raised in cages. 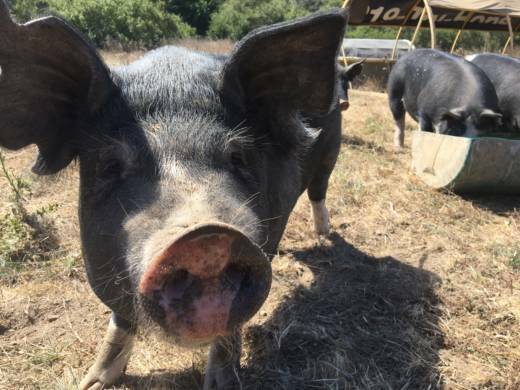 A November ballot measure, Proposition 12, would require more spacious digs for pigs, veal calves and egg-laying hens. Back in 2008, voters overwhelmingly passed a strikingly similar animal welfare law. It won by 63-37 percent, losing in Central Valley farm counties, but passing in Los Angeles and Bay Area urban communities by as much as 70 percent or more. Proposition 2 promised to give animals enough room to stand up, sit down, and turn around and extend their limbs or wings. But some farmers argued the measure's language was too vague to interpret in practical terms. For example, we talked back then to San Diego chicken farmer Frank Hilliker about the law. “Chickens don’t do pirouettes," Hilliker said in 2015. "They don’t soar like an eagle -- they don’t extend their wings, they kind of keep them in close and flap them, but they never extend them fully." 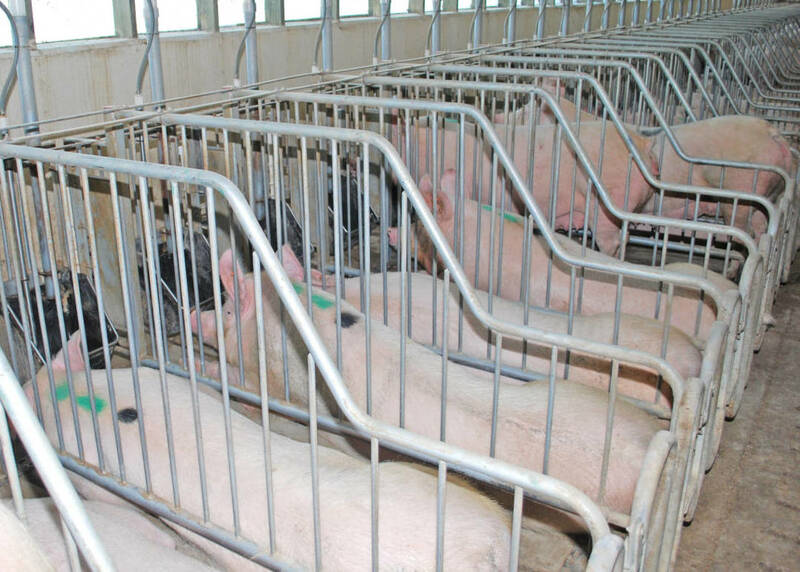 After the 2008 law took effect, state agriculture officials ruled that farmers could comply with the law without getting rid of their cages as long as they provided more space within them. Hilliker met the law's requirements by moving half of his chickens out of cages, which increased the net space for those remaining. To end confinement altogether, the Human Society sponsored Proposition 12. The measure is also endorsed by the American Society for the Prevention of Cruelty to Animals, the Sierra Club, the California Democratic Party, the United Farm Workers, and the Center for Food Safety. The Yes on 12 campaign has raised $6.1 million as of Sept. 28, while the opponents, Stop the Rotten Egg Initiative, have raised about $566,000. The next financial reporting deadline is Oct. 25. Dede Boies supports the measure because it aligns with her farming philosophy. She raises chickens, ducks, turkeys and pigs on Root Down Farm, a huge open field in Pescadero, about an hour south of San Francisco. “The point for me is to raise animals in a way that they were intended to live," says Boies. "And to basically give them the best life possible." For Boies, confining animals in cages reduces them to products. Proposition 12 requires each farm animal to have a specific amount of floor space beginning in 2020: 43 square feet for a veal calf; 24 square feet for a breeding pig; and 1 square foot for an egg-laying hen. 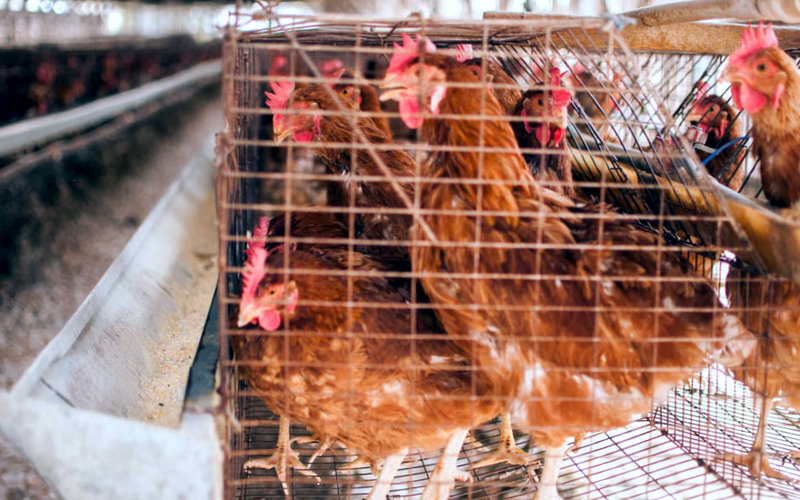 Cage-free conditions will be mandatory for hens by 2022. The Association of California Egg Farmers and the National Pork Producers Council oppose Proposition 12 primarily because the measure applies to all veal, pork and eggs sold in California, even when the animals are raised in other states. Ken Maschhoff is a fifth-generation hog farmer based in Carlyle, Illinois, who runs one of the largest pork operations in the U.S.
“I certainly have a bone to pick with those that try to force their agenda and those costs on to others that would just as soon not bear those," says Maschhoff. 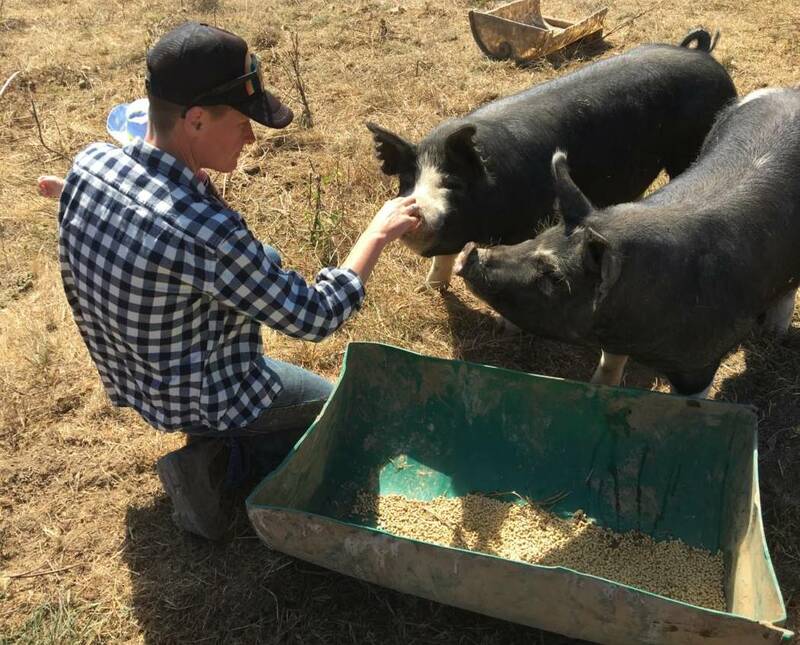 When his pigs are pregnant, which occurs twice a year or so, they’re confined for about 100 days in a gestation crate that is 7 to 8 feet long and 24 to 30 inches wide. It does not allow the pigs to turn around. Maschhoff says confining pigs during pregnancy is both humane and cost-effective because it prevents fighting between the animals, allowing more piglets to survive in the womb. What's This Going To Cost Consumers? Maschhoff says Proposition 12 will require the pork industry to spend billions on new facilities, costs that will likely trickle down to pork consumers. Economists, though, say it’s tough to forecast exact price increases. It’s easier to predict egg prices because cage-free eggs are already on store shelves. They’re usually priced at about 50 cents to a dollar more per dozen than conventional eggs. In fact, animal welfare groups such as People for the Ethical Treatment of Animals are opposed. PETA says the measure doesn’t go far enough to protect chickens, which still can be confined in barns if it passes. So, even if voters approve Proposition 12 on Nov. 6, the battle over how much space farm animals need is likely not over.